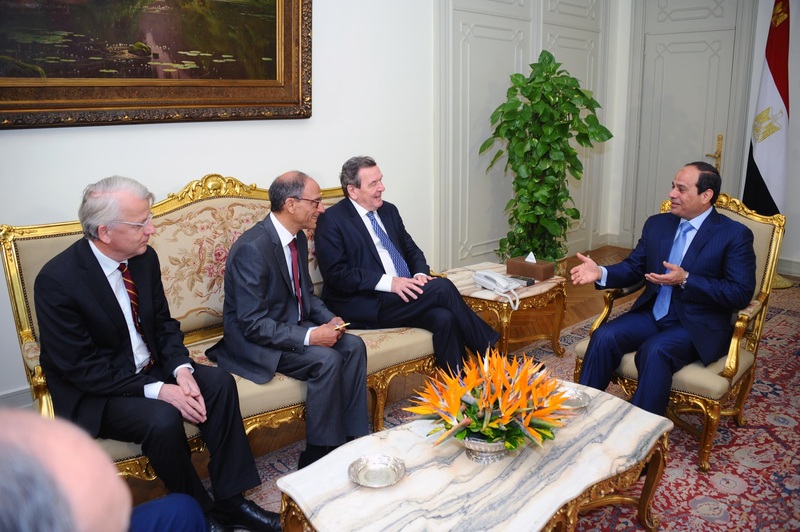 Bilateral relations were the main focus of former German chancellor Gerhard Schröder’s meeting with Egypt’s President Abdel Fattah Al-Sisi in Cairo on Saturday. During the meeting the former Chancellor underlines the cooperation between the two countries in the economic sectors. “The upcoming Eqypt Economic Development Conference, which will be hosted in March in Sharm el Sheikh, will offer new investment opportunities,” said Gerhard Schröder. On the regional level, President Al-Sisi and former Chancellor Schröder discussed the situation in Libya. “A destabilisation of the entire region also impacts on Germany and on Europe. The instability in Libya threatens peace and prosperity of the European continent,” said Gerhard Schröder.